Albert Einstein (1879–1955) was the most influential physicist of the 20th century. Less well known is that fundamental philosophical problems, such as concept formation, the role of epistemology in developing and explaining the character of physical theories, and the debate between positivism and realism, played a central role in his thought as a whole. 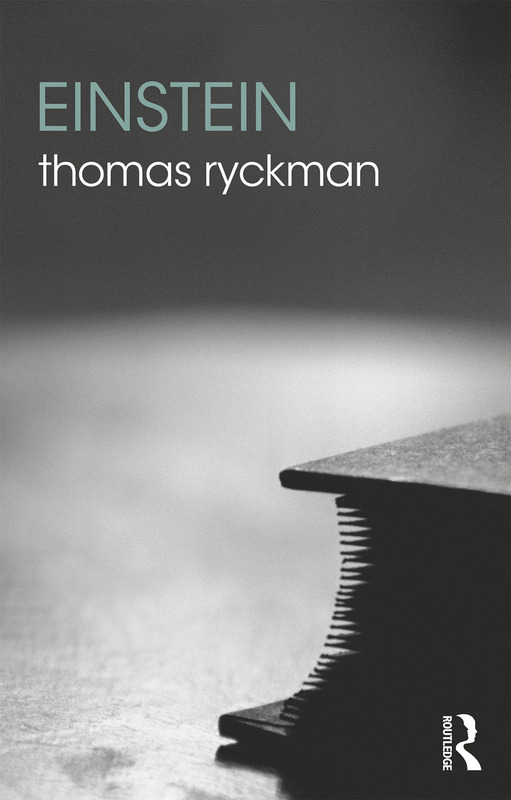 Thomas Ryckman shows that already at the beginning of his career - at a time when the twin pillars of classical physics, Newtonian mechanics and Maxwell’s electromagnetism were known to have but limited validity - Einstein sought to advance physical theory by positing certain physical principles as secure footholds. That philosophy produced his greatest triumph, the general theory of relativity, and his greatest failure, an unwillingness to accept quantum mechanics. This book shows that Einstein’s philosophy grew from a lifelong aspiration for a unified theoretical representation encompassing all physical phenomena. It also considers how Einstein’s theories of relativity and criticisms of quantum theory shaped the course of 20th-century philosophy of science. Including a chronology, glossary, chapter summaries, and suggestions for further reading, Einstein is an ideal introduction to this iconic figure in 20th-century science and philosophy. It is essential reading for students of philosophy of science, and is also suitable for those working in related areas such as physics, history of science, or intellectual history.